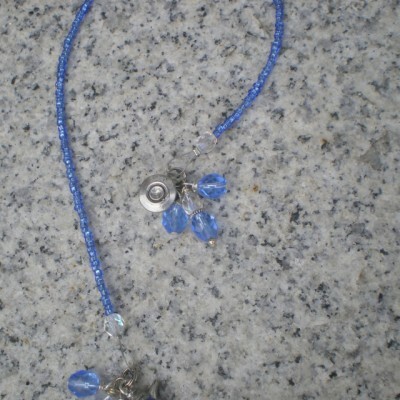 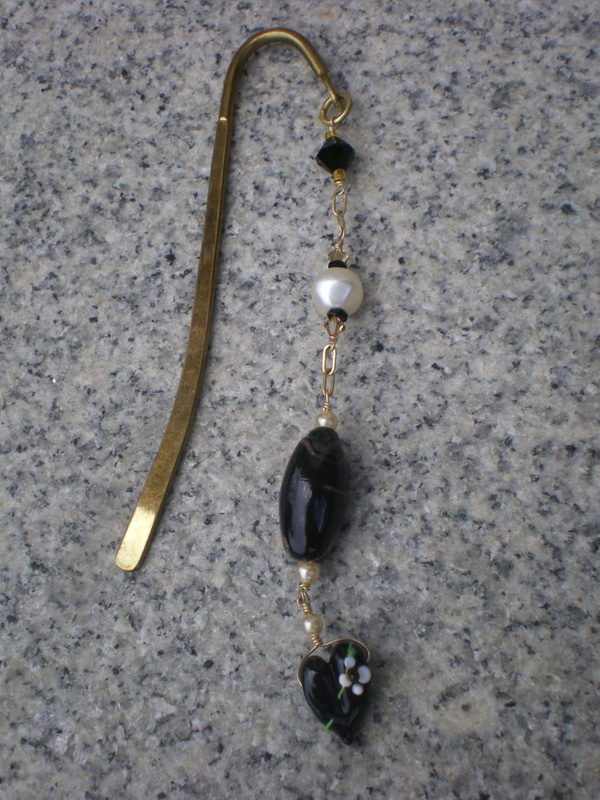 6″ gold plated fishhook attached to gold plated chain with four glass beads. 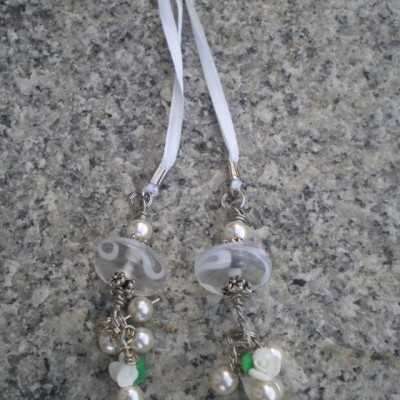 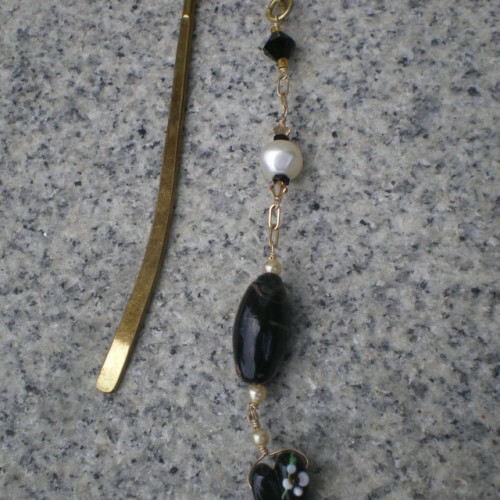 Black bicone, white round, black with brown large oval, and black heart bead with a flower. 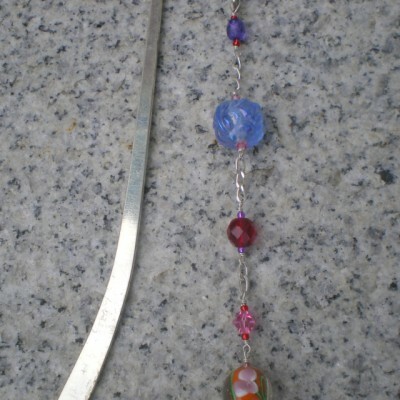 Be the first to review “Gold Plated Fishhook Bookmark” Click here to cancel reply.